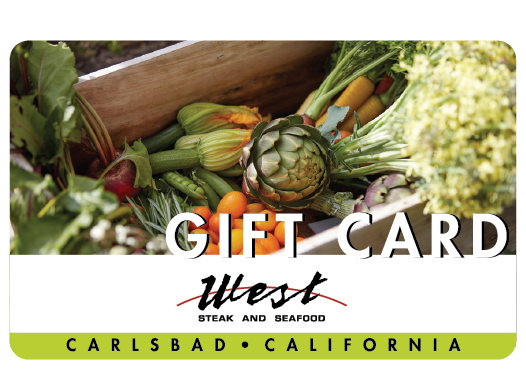 Gift cards can be purchased online or at the restaurant purchase during regular business hours. 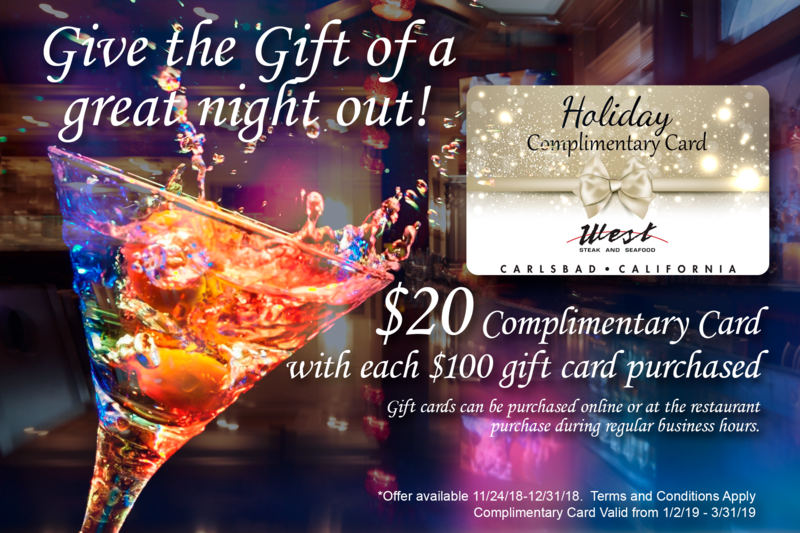 West Gift Cards are the perfect gift for family, friends and business! Orders for gift cards are processed the next business day after purchase. Delivery with USPS 1st Class Mail averages 3-5 business days after the order is processed. 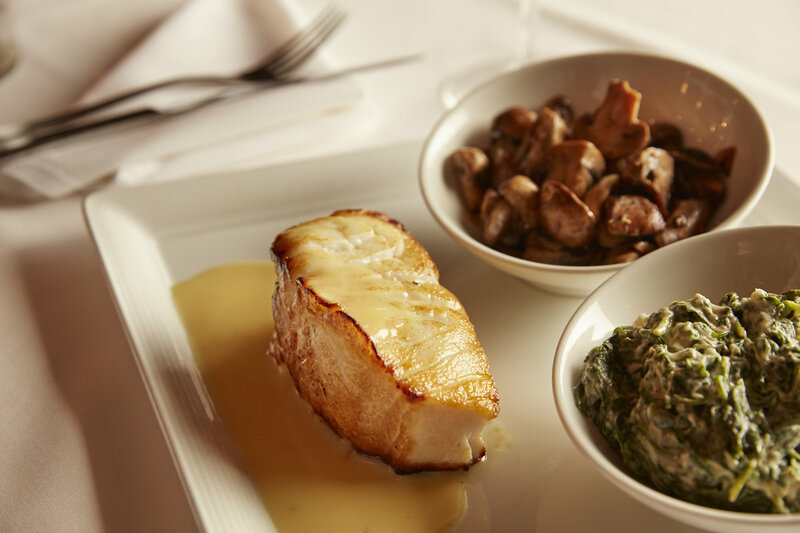 Security Policy: West Steak and Seafood takes every precaution to keep your information secure during online transactions. All information sent on this form uses a secure server employing Secure Socket Layer technology (SSL) that encrypts information so it cannot be read by an unauthorized party.